What are the new FDA guidelines for labeling on food packaging design? 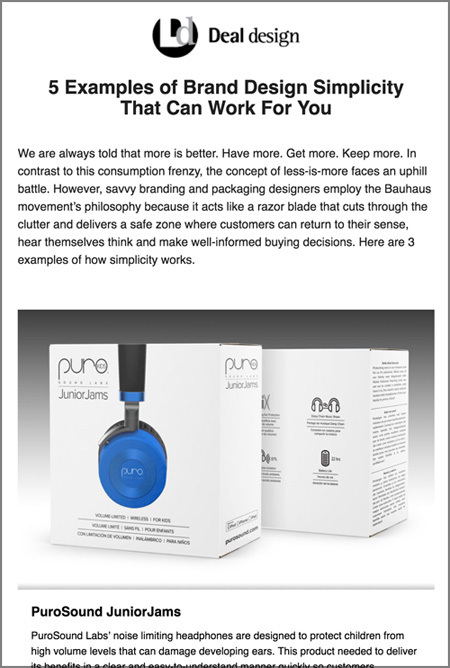 Here is a summary of the changes and how they will benefit consumers and impact brand manufacturers as they evaluate updated packaging design requirements for all their SKUs. The FDA released new food labeling requirements in 2016 that must be applied to all food labeling. 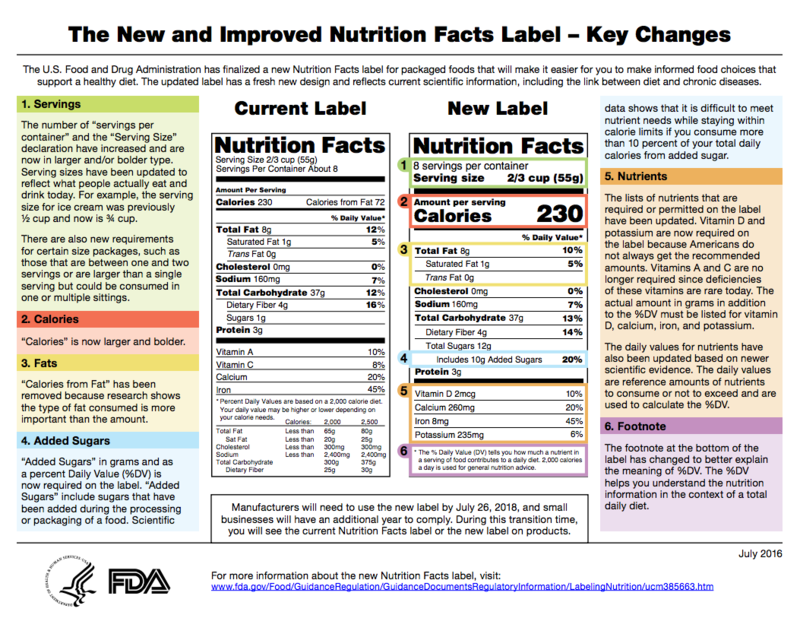 The changes make the Nutrition Facts box contents easier to read and understand for consumers. There is a noticeable shift in focusing on the calorie content of the food, actual measurement and % daily suggested value of vitamins and minerals and a new addition of “added sugars” as a separate line item and part of the total sugars content. See the full presentation on Nutrition Facts Label Design by clicking the link here. Another important changes is what the FDA considers a serving size. What use to be considered 4 servings within 1 pint of ice cream is now considered 3 servings to accurately reflect the reasonable serving size people consume from food products. This change is intended to be more true in calorie reporting. The change has a cascading effect so that the total calories per serving will naturally go up, enabling consumers to more accurately evaluate their calorie intake and monitor their health more closely. The FDA has given small businesses, meaning those with under $10,000,000 (ten million dollars) in annual sales, three years to comply. All other manufacturers have two years. This means all new SKUs going into production will need to have their labels updated to reflect the new FDA labeling regulations. This is good news for packaging designers who specialize in food packaging and FDA regulation compliance. We expect to see an increase in business as our current and new customers come to us for FDA food labeling compliance.